In the 75 years since Margaret Mitchell published her Pulitzer Prize-winning novel, the phenomenon that is Gone with the Wind has never quite died down. In 1939, David O. Selznick turned the most popular novel of its time into the most popular film ever made. It is perhaps the film, more than the book, that keeps the fanfare alive around the world today. Yet, in spite of its popularity, Gone with the Wind has come under fire in recent years from film critics who often cite it as outdated and chide its non-PC depiction of slavery. Even with its faults, Selznick’s Civil War epic has stood the test of time and remains the shining beacon of the Hollywood studio era. Here are 10 reasons why Gone with the Wind is still an awesome film. Costumes are an integral part of the mise-en-scene of a film. This is especially true for period films because they help draw the audience into a specific historical time frame. Let’s be honest, there’s nothing worse than watching a serious film set in Regency England but the costumes scream Civil War America…or something (I see you, Robert Z. Leonard’s Pride and Prejudice). The costumes designed by Walter Plunkett for Gone with the Wind remain among the most famous in film history for their beauty, construction and the sheer volume of them required for the film. As Gone with the Wind was an epic being filmed in Technicolor, Selznick demanded the costumes be sensational while remaining historically accurate. Plunkett and his team created over 5,000 pieces of clothing for the principal cast and thousands of extras. The costumes, particularly Scarlett’s gowns, covered two major historical periods (the Civil War and Reconstruction), and reflected the changing fashions of the time. Just last year, the Harry Ransom Center at the the University of Texas, Austin raised over $30,000 to restore remaining costumes from Gone with the Wind, including Scarlett’s famous green curtain dress and the stunning red gown she wears to Ashley Wilkes’ birthday party. Move over, CGI! 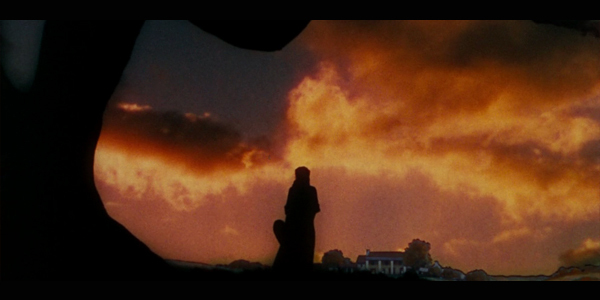 The art direction on Gone with the Wind still looks amazing after nearly 3/4 of a century. We have production designer William Cameron Menzies and special effects guru Jack Cosgrove to thank for that. Not only was a plantation and post-war state capital constructed, but many of the stunning backdrops were hand painted (matte) and combined with live action shots during the editing process. Those vibrant sunsets at Tara? Hand painted. The facade of Twelve Oaks plantation? Yup, hand painted. Menzies directed one of the film’s most famous scenes, the Burning of Atlanta. I get chills whenever I watch the silhouettes of Rhett and Scarlett dwarfed by the flaming sets of the 1933 version of King Kong as they escape the carnage left by Sherman’s army just in the knick of time. The scope of Menzies and Cosgrove’s contributions to the film becomes strikingly apparent when we remember that Gone with the Wind was shot almost entirely on the Selznick backlot in Culver City. Tara’s Theme is one of the most easily recognizable motifs in the history of film music. It’s also one of the most beautiful (in my humble opinion). In fact, I may or may not have cried when the LA Philharmonic performed it live at the Hollywood Bowl a couple years ago during John Williams’ annual tribute to the movies. It was that good. My friend Tatiana can testify to the validity of this statement. The film was scored by famous film composer Max Steiner (Now, Voyager, Casablanca, Mildred Pierce), and true to melodramatic form, it barely lets up throughout the entire film. Not a scene goes by that isn’t inflected with either soft background music or epic, soaring melodies. Steiner and his orchestrators worked day and night for months to get the score completed in time for the film’s Atlanta premier in December 1939. The results were definitely worth it. Steiner may have lost out on the Academy Award for best original score (which went to Herbert Stothart for The Wizard of Oz), but in terms of popular consciousness of the music in Gone with the Wind, he definitely emerged the winner. Everyone has probably heard of the countless problems that plagued the production of Gone with the Wind. 3 directors worked on the film including George Cukor and Sam Wood. But the one who got all the credit (and an Oscar) was Victor Fleming. Fleming left the The Wizard of Oz set to take over on Gone with the Wind after the dismissal of George Cukor. He was a good friend of Clark Gable, but he and Vivien Leigh famously did not see eye to eye on how Scarlett O’Hara should be portrayed. However, Fleming was a no-nonsense director who managed to pull together a film that was already over budget and behind schedule. He directed Leigh to an Academy Award and even coaxed Clark Gable into crying on camera. Now that’s an achievement to be proud of! Has there ever been a leading couple as right for the parts they were playing as Clark Gable and Vivien Leigh in Gone with the Wind? Talk about perfect casting! I read the novel before I saw the film and I remember, all those years ago, marveling at how well Gable and Leigh fit my vision of Rhett Butler and Scarlett O’Hara. It wasn’t just that they looked like Margaret Mitchell’s characters, they fully embodied them. Clark Gable was so much the public’s idea of Rhett Butler that they unanimously demanded to have him cast. 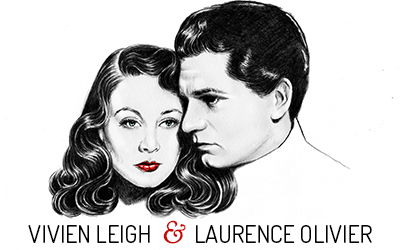 The choice of British Vivien Leigh caused quite a disturbance amongst the Hollywood gossip columnists, but any qualms disappeared when the film premiered and everyone got a glimpse of Gable and Leigh’s on-screen chemistry. So spot-on was the casting of the two leads that it remains nearly impossible to imagine anyone else playing the roles. The film also boasts great performances by Olivia DeHavilland and Hattie McDaniel, who became the first African American to win an Oscar for her performance as Mammy. Clark Gable may have given one of the best performances of his career in Gone with the Wind, but there is no denying that Vivien Leigh owns this film. It is, after all Scarlett O’Hara’s story, and Vivien appears in almost every scene. Scarlett is a dynamic character and the expanse of the film allowed Leigh the space to bring her to life . Over the course of four hours we see Scarlett change from carefree coquette to world-weary woman. An entire scale of emotions is played out on Leigh’s expressive face. In addition, Leigh is one of the only principal cast members who took mandatory voice lessons to perfect a southern accent. This coming from a girl who, when she made her initial screentest for the part, had never heard a southern accent before. The result of Leigh’s dedication and passion for the role was a performance that is still counted among the greatest of all time. Gone with the Wind clocks in at a running time of close to four hours. That’s enough time for two normal movies. But Gone with the Wind isn’t a normal movie. It’s an epic movie. An epic movie with an epic story to be told. There are many three-four hour films that feel like four hours. There are even many two hour films that feel like four hours. Not Gone with the Wind. Some may disagree, but Gone with the Wind has good enough pacing (especially in the first half) and enough action on screen to keep me riveted to my seat from Prologue to Exit Music… Alright, maybe it does help to have an intermission, but it’s never a boring film. Why has Gone with the Wind remained so popular for so long? This was one of the questions I asked TCM host Robert Osborne when I interviewed him last summer for vivandlarry.com. We both agreed that the answer was probably the universal themes of the story. Survival and courage in a time of crisis, never giving up despite insurmountable odds, and of course the mantra “Tomorrow is another day” are all ideas that anyone, regardless of age, gender, location, orientation, or religion can cling on to. We can all relate to the characters on some level or another. In this way, it is difficult to pigeonhole Gone with the Wind as belonging to any one era. It is certainly a product of its time, but the themes make it a product for all time. As mentioned above, Gone with the Wind is nearly 75 years old, but modern technologies for film restoration have made sure it continues to look fresh. If film restoration was like plastic surgery, Gone with the Wind would probably be the equivalent of Joan Rivers. But instead of being an old, hot mess, Gone with the Wind looks amazing. Thanks to Warner Bros. and their digital restoration team, the Technicolor glory of this film has been retouched and cleaned up on numerous occasions. The vibrant colors look incredibly natural and the intricacies of costumes and sets can be seen in stunning detail. If you thought the latest DVD looked fabulous, wait until you see the Blu Ray (which is where the screencaps in this post were grabbed from). Last, but certainly not least, Gone with the Wind remains a pop culture phenomenon. Continuous theatrical screenings, events and DVD re-releases have ensured that this film remains above the radar. It’s amazing how beloved both the film and Margaret Mitchell’s story remain for people of all ages in all corners of the globe. I’ve personally seen it in the theatre a number of times and on several occasions have been amazed by the diverse crowds that still flock to see Gable and Leigh light up the big screen. It seems like there is always something Gone with the Wind-related going on somewhere. A new book about the book called Margaret Mitchell’s Gone with the Wind: A Bestseller’s Odyssey was just published. In fact, there is a huge celebration planned in Georgia for the novel’s 75th anniversary this June. The “Windies” will be out in full force (one of them was even interviewed for the NY Times recently), and it’s sure to be an interesting party. You can find out more about the festivities here. I went to the film’s 70th anniversary soiree in Atlanta in 2009 and it was definitely a memorable experience. They do have brilliant on-screen chemistry! It makes me with she had done more films together! The Costumes for one, Vivien and Clark gables performance. The way the movie shows hard times and a woman of great demeanor isn’t afraid to get her hands dirty to help herself and her family survive. the courage it takes to survive. the romance between Scarlett and Rett Butler. there are so many reasons why I love this movie. I almost know word for word in this movie. I have watched it so many times. there is no movie on this earth that will ever compare to GWTW. I wish there were more movies like this, more of a Scarlett and Rhett butler. this is a great history lesson for all. it might be fictional but its also close to factual. This movie is so perfect that no producer dare to remake it. I’ve seen GWTW 27 times almost every time in a theater: the only way to see it. I had not seen it in almost twenty years until a few years ago and once again the first half completely blew me away. An annual presentation at a golden age cinema in Memphis Tenn was cancelled last summer and, alas, it may never again have a theatrical screening due to PC. Thanks, Brandie! I watch it about once a year, as well! I agree, the film would be nothing without Vivien’s performance. It’s not to say that the other actors were not good, it’s just that Scarlett IS the film, and I really can’t imagine anyone else playing that role either. I agree with number five – the romantic pairing of the fabulous Clark Gable with Vivien Leigh is absolutely unparalleled in cinema history! But for me, numero UNO would have to be the tour de force put forth by Vivien. There has been and never will be a performance like it! She sparkles with “passion for living”, furor, mischief, “gumption”, heartbreak, and finally quiet, steely-but-exhausted resolve. I’d just like to add to its “lasting impact on pop culture” the fact that there has never been a film with so many collectibles spawned from it! It is amazing how many dolls and figurines and various kinds of memorabilia are available and still bought and sold today. I collect some of the dolls and the outfits, and the Franklin Mint still sells them! To me that is quite a testament. And Tonner does as well, Mattel, and Madame Alexander. There are more I am sure. 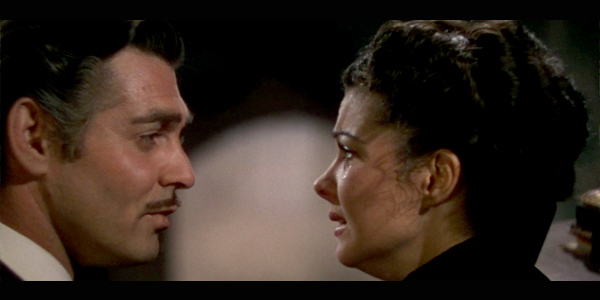 Five and eight are my biggest reasons for loving Gone with the Wind. Leigh and Gable are so impossibly perfect to me as Scarlett and Rhett. I can’t imagine anyone else in those roles and I think it’s practically sacrilegious to imagine that anyone else could inhabit those roles. I love it for the themes because I always feel more hopeful about life after watching it. By the time you get to that last scene with the iconic line you have been through so much with Scarlett but you know that it’s true. Tomorrow is another day so you can never run out of hope. No surprise here, but I completely agree that Vivien is irreplaceable as Scarlett. I cannot envision ANYBODY else in that role. PERIOD! Now I’m going to probably make many people scream out loud with this statement (including you, Kendra! ), but I think Errol Flynn would have made a good Rhett. Don’t everyone pile up on me, please, because I think Gable was wonderful! But I do think Flynn could have done it. The character of Rhett was often compared in the book to a pirate, and Flynn reputedly was something of a pirate prior to his film career. I realize he was more of a “personality” than a trained actor, but his natural personality would have worked in this role quite well, and his physical beauty and and charisma and natural talent as an actor would have carried him through, I think. He and Vivien would have looked great together as a film couple, in my opinion, and I suspect they would have had great chemistry. I very much wish that Leslie Howard had not been cast as Ashley. I think you agree with me on this, Kendra (??). If you do, who from that generation of actors would have been your choice for that role? I’ve always thought Douglas Fairbanks, Jr. would have been ideal, and I don’t understand why he doesn’t even seem to have been considered for the part (he worked in 2 films for Selznick around that time). It would have been interesting to see him & Vivien work together, seeing as they were personal friends, and he was so close to Larry. Franchot Tone could also have done it, I think … he was the right physical & intellectual type, a good actor, and actually from the South, I think (he also had a great voice). Olivia deHavilland was excellent as Melanie, and I wouldn’t want to see anyone else in that role. But Janet Gaynor probably could have done it, and actually would have been ideal casting if she’d been a bit younger in 1939. Physically she’s plainer and not nearly as pretty as Olivia, which is truer to the description in the book. I can definitely see her in the part, looking as she did in “A Star Is Born”. Okay, I hope I haven’t offended anyone with these musings. I realize that the idea of replacing Gable with another actor is probably as offensive in some quarters as the idea of replacing Vivien would be to me, and for that I do apologize in advance! Haha, I do love Errol Flynn and I suppose he would have made an interesting Rhett, but I think Clark is too tied in with the role–as Vivien is with Scarlett. Clark was also a trained personality. I’ve never really thought about the supporting characters being recast. I think it would have been much easier than to recast the leads. I do agree with you about Leslie Howard! I have never seen his appeal, even in his other films. David, I agree with you that Errol Flynn certainly had greater physical beauty than Clark Gable, and I can understand why you might think that this wouldn’t have been such a terrible idea. However I don’t think he had the emotional range, even though I love him! He could have played the rascally side but I’m not so sure about the vulnerable side. Gable was pretty flawless, and the more I see him the more layers I discover in his performance. Clark’s coloring fits better as well…and well, those dimples! But to see Errol’s perfect features next to Vivien’s would have been quite a treat. I wish they had done a film together. Leslie Howard has a few moments but all in all he is not on the tier that the other big three are, or Hattie McDaniel for that matter. I’m not sure who would have made the perfect Ashley but he needed to be a younger actor, that’s for sure. Hi Rebecca … I always love your comments! Your point about Flynn’s “rascally side” vs. his “vulnerable side” is a good one. I have to admit it is his “rascally side” that makes me envision him in the part … that, and the fact that he and Vivien would have looked sensational together. I also imagine they would have had great physical chemistry, and the sparks would have flown! But you’re quite right about his “vulnerable side” and his emotional range; I doubt he could have brought the same depth that Gable brought to Rhett’s tearful scene with Melanie, for instance. I’m not at all dissatisfied with Gable’s casting as Rhett; in fact, I really think he was excellent, and I appreciate his performance more each time I see it. I always think it’s interesting to envision alternate casting, but when it comes to Vivien that is where I draw the line, because Scarlett is the one role that absolutely could never have been played by anyone else. And I’m pretty certain that on that point we’re all agreed! I finally, reluctantly, agree about Howard as “Ashley”…he was just plain too old for the role…he was only a couple of years older than “Scarlett” in the book. While I had never considered Fairbanks or Tone…Fairbanks more than Tone….I always thought Randolph Scott would have worked as “Ashley”. Hi Kendra … I enjoyed this post! 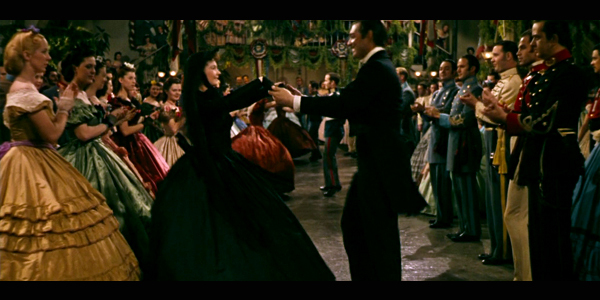 My favorite thing about GWTW is (no surprise) Vivien’s performance. I’ve lost count how many times I’ve seen it now; I stopped counting years ago after I passed 50 viewings. At different times I’ve made a conscious effort to NOT focus on Vivien while watching the film and to try and pay more attention to everything else going on around her. But I’ve discovered that’s just impossible, as inevitably my eyes are drawn back to her, and stay there. When she’s onscreen, I just can’t look anywhere else. Not only do I love the film for Vivien’s performance, I love the whole phenomenon that is GWTW. As a subject of study, it’s just endlessly fascinating. And the best part of the story is how Vivien walked off with the part out of nowhere at the very last minute. In my opinion the behind the scenes story of how GWTW came together — and the legacy it has left — is every bit as exciting as the plot of GWTW itself. Thanks, David! I agree, I think it’s fab that GWTW is still such a cultural icon. I also agree with your assessment of Vivien. It really is hard to pay attention to the rest of the background noise when she’s on the screen. It’s a testament to her star power! Brando was that compelling but Vivien more than held her own next to him in Streetcar – nobody else could have done it. That was another great pairing in a completely different way. And I can’t believe I forgot to mention the score. I cry and get chills every time Tara’s theme swells and the huge letters sweep across the screen!!! It is my one of favorite pieces of music anywhere from any time, and that says a lot, from a classical musician. Scarlett’s little theme as she is getting laced up or running down the stairs, is just priceless. I wish I had the whole thing on a CD but have never found it. Max Steiner should have won the Oscar along with all the others, in spite of The Wizard Of Oz. Oh well, very different….both great in their way. But I prefer Tara’s Theme! I prefer the GWTW score to The Wizard of Oz, as well. It’s probably because I love classical music so much and favor instrumental soundtracks over lyrical ones! You expressed that beautifully, Rebecca. And you touched upon something very important about the film that I forgot, and that is the moment the GWTW titles sweep across the screen. That always puts a big lump in my throat, too! I’m sure the music has a lot to do with it as well. But I think it’s always at that moment when I realize just how much the film means to me, and how much I have invested in it emotionally. Another point on which we agree (and I like the way you said it): I also think Vivien’s face is the most beautiful thing I’ve ever seen. I’ve thought that since I was 14 years old and I still think that 35 years later (and I’ve seen a lot of faces in that time, and not one of them has made me change my mind!). As I’ve gotten older myself I’ve learned to appreciate how beautiful she continued to be even after she passed the peak of her youthful beauty of her 20’s & 30’s. I’m sure that had much to do with the beauty of spirit she certainly possessed, but I also see that it had a lot to do with the perfect proportions of her face, and the delicacy of her features. I know there’s nothing original in that observation, but it bears repeating. There’s just never been another face constructed like that … it’s a flawless work of art, and I never tire of looking at photos of it. But thankfully we have her captured on film, where we also get to marvel at the effervescent, mercurial personality … the exquisite grace of movement … the beautiful voice (which may have been considered “weak” on the stage, but which was glorious on film). As Irene Selznick (wife of David O.) said of Vivien in her memoirs… “the gods had given Vivien every possible gift; at her best, there never was exquisite beauty and charm so combined”. I have to say, I totally agree with that assessment, and yours as well, Rebecca! Thank you kindly, David. I was privileged to see GWTW last week at a huge HD screen and was even more captured by her incredible beauty. Olivia de Havilland was a beauty in her own right, and it takes a Vivien Leigh to make Olivia look almost plain! I realize that they tried to make Melanie plainer in keeping with the book, but even at press events Vivien just captivates so much that one can only gaze at her. She is a flawless work of art, as you so aptly said. I love the paintings in That Hamilton Woman! Robert Osborne called her at her most beautiful in THW, (was that in your interview Kendra?) which I can certainly understand, but for me it is a three way tie with Waterloo Bridge, in which she was so beautifully photographed (as Kendra pointed out), and of course GWTW for the beautiful color and grandeur of the film and costumes, and the enormity of her role with its unending range of emotions. Unfortunately the only flaw in the screening was that the volume was turned down way too low, therefore the full impact of the beautiful theme rising to its crescendo as the giant letters swept by was somewhat minimized. I suppose that (in addition to the wonderful Vivien and the almost as wonderful Clark) the reason why I just adore GWGW are the ones you call “universal themes”… no other movie, no other book, no other story ever was so good to treat those themes as GWGW…. well, not with such power and with characters SO alive!!! Margaret Mitchell created the most vivid characters in literature…. the directors and the actors made them incredible alive in the movie…. bless them all! It’s true! The themes in GWTW are always relevant and I think that’s part of its universal and lasting appeal. MM did a fabulous job with that book. All the awards! I simply adore Gone with the Wind. I love it as one of the finest and fullest examples of filmmaking in existence. The wealth of design, love, and work that went into putting it together (in every department, from the actors to the set design to the music) is astounding and it’s testament to this that the film has stood the test of time so well. 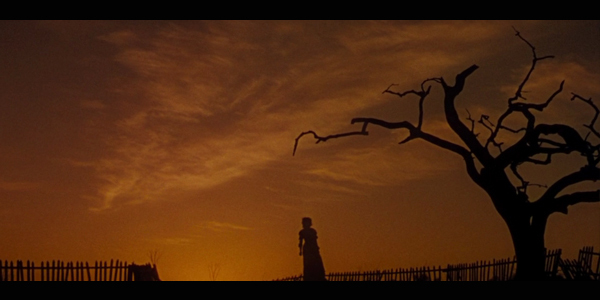 For me, the love story between Rhett and Scarlett is what appeals most. No other film or literary couple have ever gotten under my skin quite as much as them, to the point that I want to weep and shout in horror at their not ending the film as one. I always say to my friends, I have to believe in my head that they somehow get back together later on, or else I don’t think I could handle the ending. Also, Gone with the Wind is a film my mum and I love in equal measure, so it has sentimental attachment for me. It reminds me of many’s a Christmas spent laughing and quoting and watching it together, savouring all the little moments no matter how many times we’ve seen it. It’s a tribute to its power that it has such meaning after all this time! Finally – wonderful post. Thank you for writing! I really hope I can see GWTW on the big screen someday. How lovely that it has sentimental value for you and your mom! I wish my mom and I had a movie in common that we watched together. Alas! I definitely agree about Scarlett and Rhett. Best film duo ever? I think so! Gone With The Wind is great. It’s also the movie I’ve seen in a theater more than any other — eight times over the years at one revival or another, which is 32 hours worth. For me, it’s the relationship between Rhett Butler and Scarlett O’Hara that really makes it. The costumes, the sets, the cinematography are all excellent, and the supporting work by Hattie McDaniel, Butterfly McQueen, Olivia de Havilland and Leslie Howard is top-notch, but without the fireworks between Rhett and Scarlett, it would have wound up as just another pretty MGM picture. My favorite story about the making of Gone With The Wind is about Val Lewton’s minor involvement. You remember Val Lewton, don’t you, the guy who produced those classic low-budget horror films in the 1940s like Cat People and I Walked With A Zombie. He was one of the many, many people who took a crack at the screenplay and at one point as a joke, he wrote what he thought would be the most expensive scene in history, a crane shot of thousands of wounded soldiers stretching to the horizon as Atlanta burned. Of course, it was the only scene he wrote that Selznick kept. I definitely agree with this. The’re really dynamic characters and luckily Gable and Leigh had amazing on-screen chemistry! I didn’t know about Val Lewton. You learn something new every day! I had also written a similar post, like “10 Reasons to Love GWTW” and number one spot went to the story/concept itself, I find extremely beautiful. Great post and thanks for linking to it! It is a really great story. A great post, Kendra! I especially like the line about Joan Rivers. Rhett really is the best and Clark played him to perfection :) GWTW would be nothing without that performance from Vivien! in my opinion , the key to the film everlasting success it’s that he whole story is built around one character, Scarlett, able to stimulate the audiences to heights of symphaty; ; you may not like always Scarlett but you can’.t help feeling sorry for her or care about what happens to her. ( of course, selfish coquette or life- weary woman, Vivien is magnificent-). The most fascinating thing about Scarlett, for me, is exactly what you said. Love her or hate her, it’s hard not to get involved with the character on some emotional level (whether you want to slap her for being stupid or you’re heartbroken for her because she loses everything). That Vivien’s performance elicits such a wide range of emotions and allows people to connect with Scarlett is really amazing! My favorite thing about GWTW is probably the universality of the story. Scarlett O’Hara’s drive, passion, and conviction has and always will be a source of inspiration. Kendra, this is so fantastic! People think of “list posts” and expect the very basic, but I’m kind of flabbergasted (though not at all surprised) by the depth you went to with this post. It holds true for the movie, because obviously it took a lot of depth – a lot of blood, sweat and tears, so to speak – to make it happen. Shamelessly, though? I’ve only seen it twice. I got the VHS (or VHSs) as a gift given my love of the book, but it’s amazingly difficult to find the time to watch a four-hour movie! At least, to watch a four-hour movie with the concentration one wants to devote to it and without facing interruptions of one form or another along the way. But of the story – which is, of course, the foundation of my interest in it – I love the characters. Rhett sort of commanded my attention in the book with his Byronic tendencies, buts at first I didn’t really appreciate the character of Scarlett, and I think it was the way Viv gave cinematic life to her that really made me understand how dynamic she is. And from there, it gave me a whole new perspective on how dynamic the relationship between Rhett and Scarlett really is. But I definitely need to see the film more often – especially on a big screen! – to get the most of the other elements beyond the performances. I think I vaguely knew about the difficulties of production, but I learned a lot in this post! Don’t feel bad. It’s only because it’s my favorite film that I’ve seen it so many times. But these days I can only sit through the whole 4 hours about once a year, maybe. Im so glad you’ve read the book and enjoyed it! I know what you mean about Scarlett. When I first read it, I found her frustrating but also admirable in many ways. I think the big screen is the best place to see GWTW (and other such epics) by far. It’s a total experience. This film wasn’t meant for little TVs! i watched the movie 3 times this past 4 days already. i love the movie and thanks for the post for helping me find out several other reasons why i love the movie! Timeless and classic, that is what Gone with the wind is all about. Vivien Leigh portrayal as Scarlett was such tremendously done with good taste. More of a refine, finis workmanship. I still have my Betamax copy of Gone with the wind and I am looking for a dvd copy of it. I love collecting classic movies. Besides that, though I am not within their age bracket I got a crush on Clark Gable, manly, gentlemanly superb. Gone with the wind is no doubt… an EPIC movie. Very well said.. I love to read article like this.. Hope to see you more often in here..
Omg! The dresses was totally and definitely awesome!!!.. I guess alot of old films no matter how many times you will watch it, it will always be nice and the old films was truly an inspiring story. timless and classic that’s all there is to say! mo more arguments on why it has become what is is right now. it’s just plain cool, romantic, and tragic!! i love it!! I agree with he music.. Gone with the wind has the most awesome soundtracks. My mom got so crazy about Gone with the wind. She really let me bought a DVD tape of this All time movie. She really got a crush on Clark Gable.B But me I like Vivien Leigh, she really got some poise there. mom and dad both love the story…i’m not sure how many times they have watched it together. If you could only see my mom. She does not tire watching that movie over and over again. He really got a crush on Clark Gable. I bought her a DVD of Gone with the wind on her birthday, and she was ecstatic about it. I have loved Gone With The Wind since middle school and one of the things I love about the most is that it never gets old. Everytime I watch it I notice something different. Besides the obvious (the costumes, sets, score, story, acting and the awesomeness that is Vivien Leigh) it’s so iconic and classic that it will never get old and I am so happy that so many people still adore it and still talk about it as much as we do. I think that everyone involved with the film and the book would be honored that people still love it today. I feel the exact same way about the book! Whenever I read it, I always discover something I maybe didn’t notice before, or had forgotten about. It’s such a broad canvas of a film that there are so many little details that require multiple viewings to discover! Oh my, I LOVE this post! I found your blog through Lesya’s Eternity of Dream blog and I’m so glad I did. This movie so dear to my heart because it’s one of the first three major Hollywood films my mother introduced me as a kid. I barely spoke any English at the time so she had to translate it to me. Now that I’ve seen it a few times as an adult, I still appreciate it immensely. So yeah, I agree with ALL 10 reasons you mention here… the acting is just tremendous, especially Vivien Leigh, a Brit who plays a Southern American woman… wow, I had no idea she wasn’t American at the time. Hard to say what’s my favorite thing about the movie as there are sooo many, but I guess if I had to pick just one, it’d be the feisty relationship between Rhett and Scarlet… the stuff of legend! Hi Ruth, thanks for stopping by to leave a comment! It’s so great that this film is truly universal and loved around the world regardless of language or nationality! And I’m glad you still like it as an adult! The story line, the story line, the story line. The greatest movie of all time, Gone With The Wind. I am not the Actor as host of the 83rd Oscar Academy Awards. The Academy could have done much better. I was given the nickname, ‘Franco’, at a job site, years ago. But, Vivien as Scarlett and Clark as Rhett, what a pair, for the best movie ever to come across the silver screen. What a couple, the sparks did fly. You could not take your eyes off Scarlett. What was she going to do next. Classic Cinema at its finest. I’d like to find a site like your’s in french because I don’t understand everything, but it seem’s to be very interesting. Franchot Tone came from a wealthy old New York family. He was not a Southerner. I saw Flynn in the 1936 movie, “THE CHARGE OF THE LIGHT BRIGADE”. Trust me, he could have done Rhett Butler. I also saw him in the 1949 movie, “THAT FORSYTE WOMAN”. He gave the best performance in the movie as Soames Forsyte. My favorite thing about Gone With The Wind is love hate relarionship between Scarlett & Rhett.It makes romance so much more exciting! However, on a more personal note, another of my favorite things is that the majority of the story takes place in Atlanta, my hometown.It is exciting feeling like you have lived in some of the same places that Margaret Mitchell based so much of the book on.Also, visiting The Margaret Mitchell House & Museum gives you a glimpse into her life as she penned the masterpiece that is Gone With The Wind.And, it is very humbling to visit her final resting place in Oakland Cemetery.There is a great amount of peace to be found there & it is a perfect place to reflect on differences between the novel & the movie & it all becomes much more than a story of fiction. i thing that the most beautiful thing is the work’s Selznick!! !but also the most beautiful thing is Vivi,the only perfect person for this role!!!! It’s the greatest film of all wourld and all time!! I love Vivien!! So beautiful lovestory! “Gone with the Wind” is by far one of the greatest films I’ve ever seen. Epic is size, epic in its production and costume design, epic in its casting, and epic in its time length. It may be nearly 4 hours long, but it helps the day pass by. Not once have I gotten bored by GWTW, and I still think it is incredible in its story. We all think that someone loves us, when in fact we love another but not know it (Scarlett loved Ashley at first, then realized that she really loved Rhett). Along with that, and this coming from a Yankee, I thought that Hattie McDaniel did an excellent Mammy. Throughout the war and the Reconstruction, she was a second mother to Scarlett and Mammy would be a great second mother to anyone, be they Yankee or Southener. All in all, “Gone with the Wind” is definitely one of the greatest films ever made. On a scale of 1-10, I gave it a 9.5! Gone With The Wind is timeless! Riveting story, drama, love, and history wrapped up into a fabulous novel and motion picture! In my 50 plus years I’ve seen the movie numerous times, I have the 50th anniversary edition, and I’ve read the book every year since I was 13. I never tire of it. I saw GWTW for the first time when I was 11 years old and it was playing at the local movie theater and have been a fan ever since. After seeing the movie I checked out the book from the local library and read it cover to cover that summer (over 800 pages). Since then i have seen the movie and read the book so many times i practically know every word by heart. Scarlett has always been my hero, soft, spoiled and manipulative on the outside but inside sweet, strong, determined and a survivor. There have been many times in my life growing up that I have been able to relate to Scarlett and some of the obstacles she had to overcome, the biggest one of course, being herself. Love her, love the book, LOVE the movie. My favorite part of the movie? When Rhett takes her down of the cart on the road to Tara and kisses her for the first time. WoW! I have been captivated with Gone With the Wind for as long as I can remember. My neices would visit me from out of state every summer, and it was always tradition to watch it together. I have probably seen GWTW over 100 times. I can recite just about the entire movie! There are too many things I love about it to list here, though one of my favorite things is what I call “Gonewiththewindisms”. I am always quoting the movie and my family always knows where they come from. My favorite quote-“and you’ll be waiting there just like a spider”-Mammy. I wholeheartedly agree to every point above. I’ve read the book and seen the movie countless times…no telling how many. I told my husband that I really wonder how much this movie has shaped my life. I’m sure it’s more than I realize. As a teenager I was hooked on it and even had a prom dress with a ruffled hoop skirt. Every person alive has had some sort of disaster and had to come to terms with it. Scarlett O’Hara taught me how to, good or bad, through 59 years. GWTW is life altering to me. When I was growing up my Grandmother used to tell me about waiting in line to go see Gone With the Wind. She would tell me stories about the movie as I sat at her feet listening to her tell me about the movie in awe. She has passed away but I have kept her memorie alive and Gone With the Wind has become a family movie. We have bought the VHS and now we own the DVD’s. When it’s on TV we are glued to the screen. My children have watched it and now my grandchildren. We love it. I love dressing as Scarlett for Halloween and that is also the name of my black Pomeranian. Gone With the Wind is the best movie of all times. It definetely was an era that was Gone Witht the Wind. Well my daughter is named Scarlett so can you guess what my favorite part of this movie is? Scarlett O’Hara’s strength. She was a “take no BS” woman in a typically man’s world. My favorite scene is the “As God as my witness” scene for strength, but for romance, I like it when Rhett goes to kiss Scarlett but then says he won’t kiss her – although she needs it – badly. He tells her she needs to be kissed often – and by someone who knows how! Rhett and Scarlett are the Prince and Princess of the Civil War. It is the best Romatic film ever produced. Scarlett was and will always be my herione. She is brave, tough, smart and beautiful. I watched the movie with my daughter, and she is a great fan. I hope to do the same with my granddaughters. I want to make sure they know it’s okay for a woman to be all those things Scarlett is. Love the post Kendra! I am tiring 16 on may 26th and have been fascinated with gone with the wind going on 3 years. My parents got it for me for Christmas one year and it sat on the shelf for about two years (I thought it was going to be boring- what a fool I was!) one day I picked it up because I was out of reading material. Instantly I fell in love. My entire room is GWTW! I kid you not! I know just about everything about the movie and I’ve made all my friends watch it. (My idea is that if my friends won’t watch GWTW at least some point in their life, then it’s most likely not going to work out sense I find some way to relate everything to that book. I love the movie, everything about it is fascinating! It’s great on any occasion. My life and the struggles I have faced with are so relatable to the novel and Scarlett’s story that it always gives me comfort and I know my love for it will never die. Vivien and Clark were perfect for the role. Couldn’t imagine it any other way. There have been some people who come up and say, “someday you’ll play in the remake.” Of which I then proceed to look up at them like they have two heads and ask why they would say such a horrible thing! (As we all know, no one could EVER live up to that performance!) Tomorrow may be another day, but that day should NEVER include a remake! My mother told me (sometime in the late 1950s) that Margaret Mitchell had said that she had visualised Clark Gable as Rhett while she was writing the book. Have you heard the same? The period in which it was made was a different time. The nation had re-unified, particularly after the Spanish-American War & the end to the horrible period of Reconstruction. The South in the movie was portrayed in a reasonable & more realsitic way than now. Now the PC thought police would ban its interpretation outright. Today all Southerners have to be portrayed as either stupid hicks or evil. And each time that I see it, I fall in love with Melanie all over again. Part of GWTW’s enduring appeal is in all the stories surrounding it. It was the first truly epic movie, both on and off screen. Thanks so much for the blog Kendra. I got your book under the Christmas tree – can’t wait to read it! I have watched GWTW so many times on TV but today I went to the screening at the BFI in London and to see this amazing film on the big screen is just indescribable. There are so many expressions and moments that can be missed watching it on TV but up there on the huge screen – its as though you are seeing it for the first time. I remember my dad telling me in the 90’s when I first became interested in GWTW, that when the film was screened in his home town in Ireland – it was played over two nights. The excitement amongst everyone – he said – was unbelievable. It was the biggest thing ever to happen in their lives – this was in the 1940’s. When I saw the film today in the cinema – I finally realised how my dad must have felt seeing this wonderful film all those years ago. As the film finished, I still found myself wishing for the umpteenth time that Rhett and Scarlett would come together and live happily ever after! 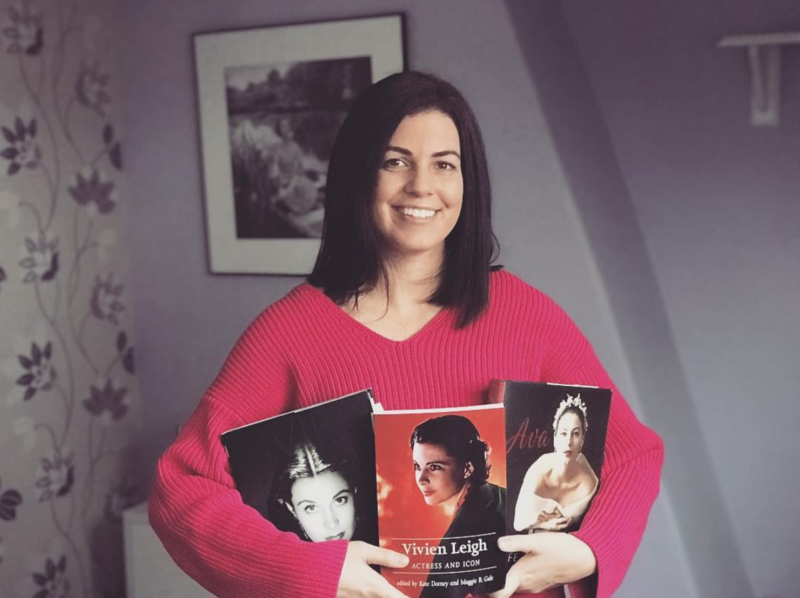 Kendra – I love your book on Vivien Leigh – I am going to the V&A on the 8th Feb and thank you for posting the information about the seminar on Facebook otherwise I would not have known about it. I am a great fan of both VL and GWTW. Thank you..
​#6 Vivien Leigh’s performance (but it’s really all 10 interdependent reasons with #6 being the sublime) . Watching GWTW for the first time at 9 years on TV in 1978 I was enthralled with her performance. My father was a movie theater and drive in manager which required him to work almost 24/7. When he was home he would always want to watch ‘the oldies’ from his time as a teenager working at the local theater or when he was the entertainment officer during WWII. I would watch the movies for a chance to be with my father, but it was not until we watched GWTW together I was actually experiencing something together with the same lense. It was Vivien Leigh that made it possible. Of course the character Scarlett is timeless, but I believe that it was Vivien that made that character tangible to a generation accustomed to Charlies Angels and Barbies. For the first time I recognized exquisite beauty, talent and could connect with a character. Vivien through Scarlett rationalized what I had thought; but could not articulate at that young age: women do not fall into 2 categories (virgins or vixens). I did not have only 2 choices to become in life. Scarlett pursued happiness with unknowing false premises, and even when it seemed she learned truth too late; we know Scarlett will end up just fine because of her fortitude. From that day in 1978, I felt free to be exactly who I was, and Vivien became my ​progenitor. I read the book first. An original copy that belonged to my father in law and then saw the movie. The movie is wonderful and is among my top five favorites but the “movie” in my head as I read this marvelous book was not the same – much different than the movie. Many things were left out that I anticipated when I saw the film but I watch GWTW at least once a year as well. They don’t make movies like it anymore . . . I have to say GWTW has very inspirational values. I love the story and the action and the excitement and the characters. It’s all dripping with magic. I think Clark Gable’s performance is unquestionable just like Vivien Leigh’s and the other’s. In Hollywood from 1936 to 1938, the biggest names of the time and the unknowns were all out for the leads. I mean, all of the big names from 1936 to 1938 pretty much were considered, auditioned, or tested. About everyone except Shirley Temple and Judy Garland and Mickey Rooney and all them were going for Rhett and Scarlett. Thanks for your beautiful tribute! I’m a French fan of GWTW and although I’ve watched it dozens of times, I still feel it’s impossible to ever grow tired of it. I was hoping – if this information is confirmed (in truth I’m afraid it could be a hoax!) – we could perhaps try and petition whoever is the owner of the GWTW film rights to acquire and restore this deleted footage (without necessarily asking for it to be reinserted in the movie). Finally, I don’t know if you are aware of the forthcoming release of a 352 page book entitled The Making of Gone With The Wind by Steve Wilson, to commemorate its 75th anniversary. No doubt true and devoted fans won’t want to miss it. My favorite thing? The fact that this afternoon I’ll be viewing GWTW in a lovely theater on the big screen, in the original aspect ratio! Have seen this movie at least 5 times, and read the book over 20 years ago. Now I do try to enjoy this movie but also keep the context in my mind while I do. Margaret Mitchell was writing a story of women, and the strength of women in the midst of war. The one person who can tell Scarlett what to do and she listens and actually follows through is Mammy. That doesn’t make up for the poor depictions of what life was like for enslaved persons before, during and after the Civil War. Interesting too is that Ashley is truly a weak man. He is too in love with an ideal of the heroic southern gentleman that he thinks he needs to live up to. He can’t stop himself from schtuping his wife who dies in childbirth after the doctor warned them both of the danger. but Rhett goes to see Belle when he is kicked out of Scarlett’s bed. Scarlett typifies the hypocrisy of not facing facts, not owning up to accepting what is or what she wants – a pragmatist like Rhett instead of the syrupy nostaligic Ashley.